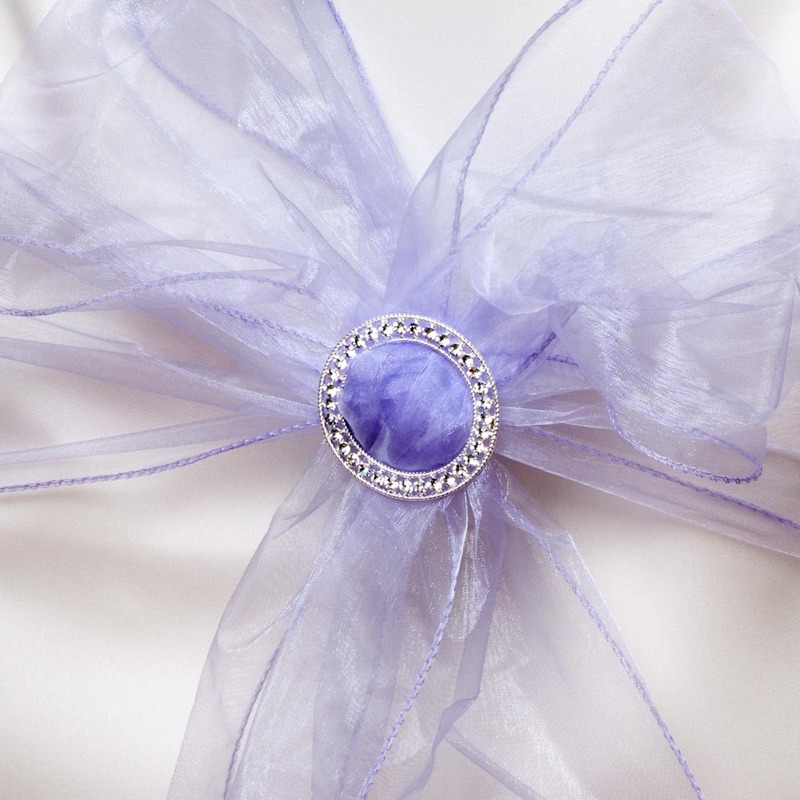 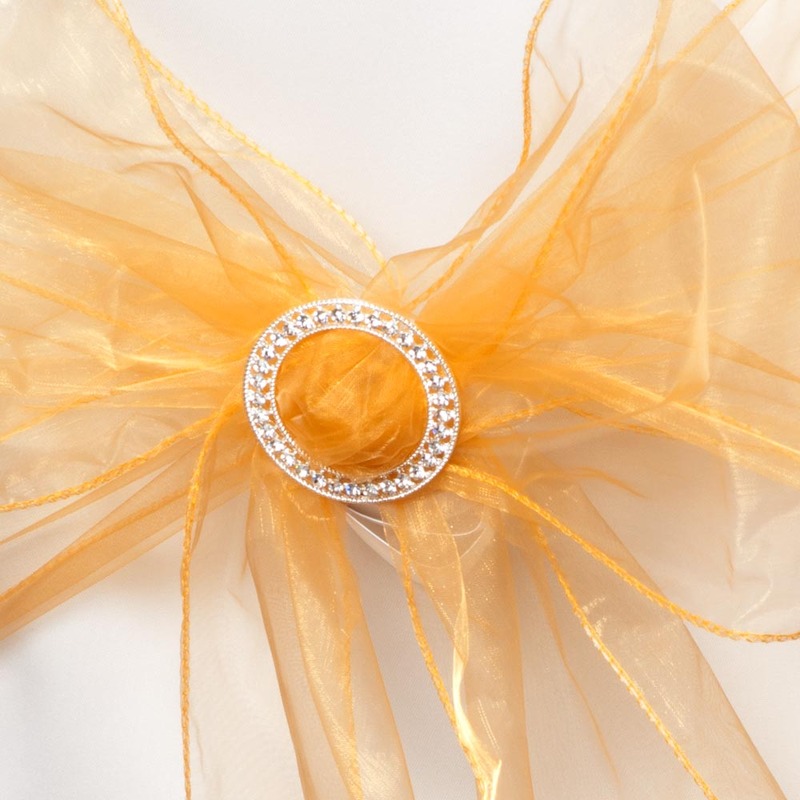 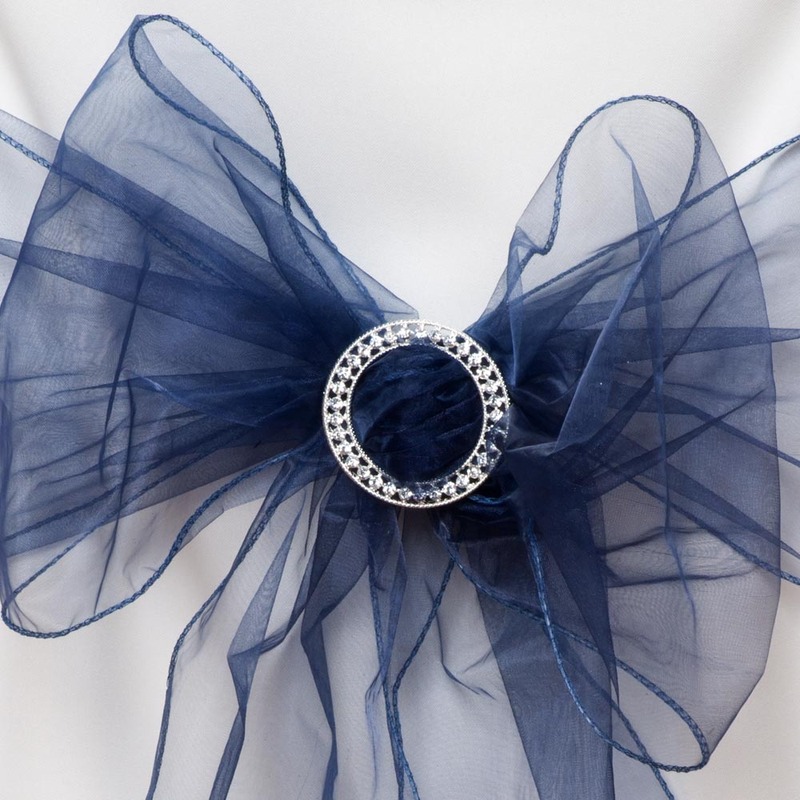 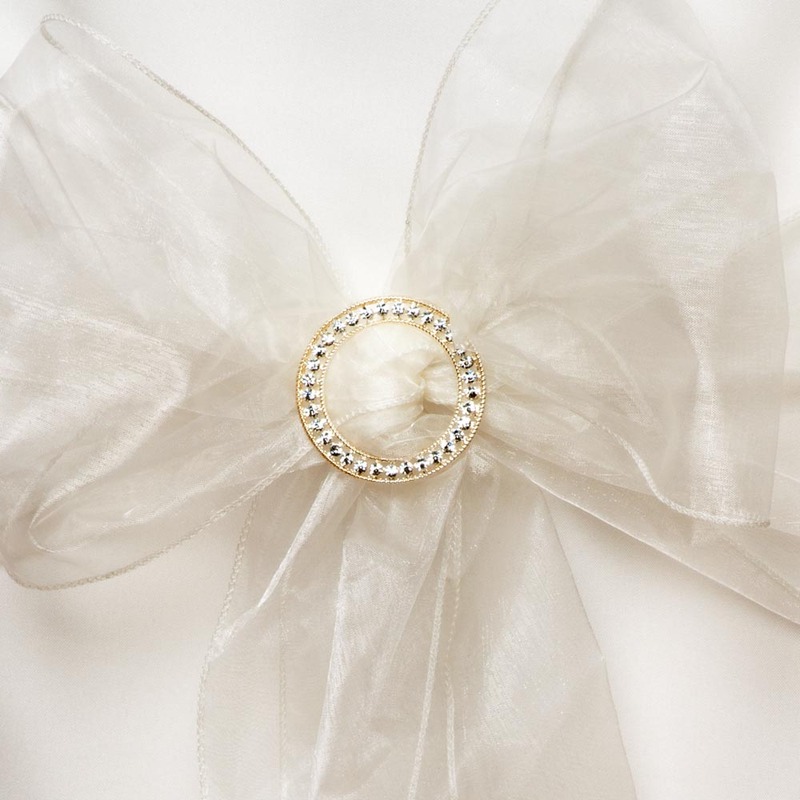 Why not add your own special touch to your wedding venue with our beautiful organza chair sashes. 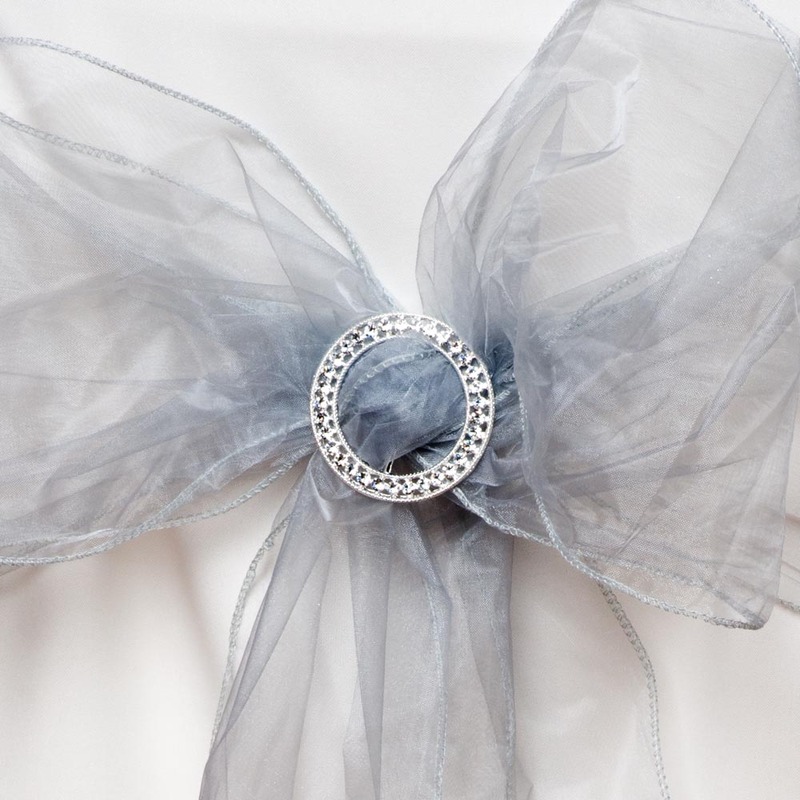 Your guests will be amazed at how fantastic your wedding reception looks.The sash can be tied around the chair and finished in a bow or across and tied at the side. 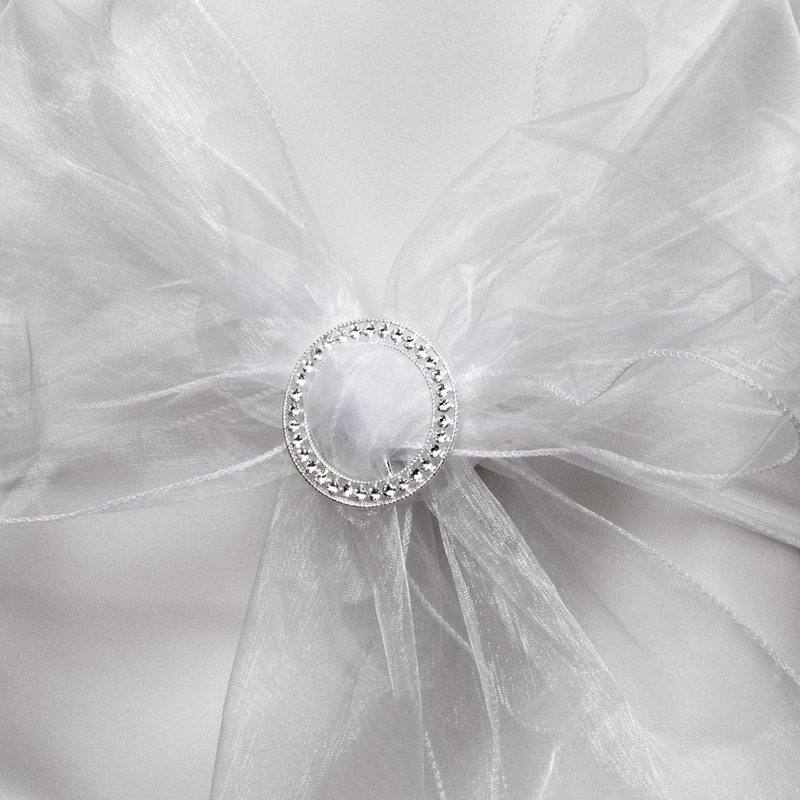 To complete the look shown in the image, simply add one of our gorgeous diamante buckles.